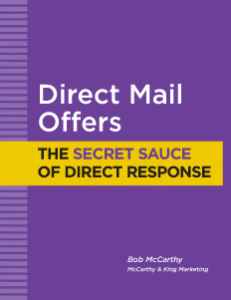 Direct mail is a powerful channel for getting your message into the hands of your best prospects. Through careful targeting, persuasive messaging and proven direct response techniques, you can use direct mail campaigns to generate a consistent flow of new sales leads. We can help you with every element of your direct mail campaign – or just the parts you need. Within each of these objectives are sub-objectives to fine tune your mailing. We can help you identify your objectives and sub-objectives. House List – a House List is your list of customers and prospects, people who have engaged with you on some level. Because of your relationship with the people on this list, you can expect much higher response from direct mail. 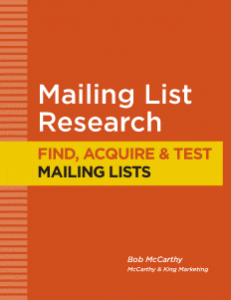 We can help you research and acquire any list you may need. The offer is the secret sauce to direct response. It’s what gets people to respond. Every direct mail campaign needs an offer. Which offer you use will depend on the objective of your campaign. For lead generation campaigns, the most common offer is what we call a “lead magnet.” A lead magnet is an informational report, guide, ebook, tip sheet – something that provides the prospect with helpful information on a topic related to what you sell. Every business should have at least one lead magnet that can be used not only in direct mail, but across all marketing channels. We can help you develop your offer – and, if needed, create your lead magnet. 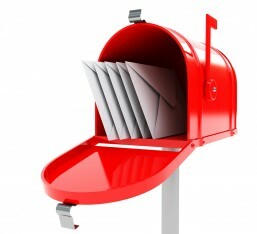 Direct mail comes in many formats – from sales letter mailers to folded self-mailers to postcards. 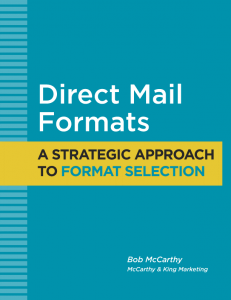 Choosing the right format for your direct mail campaign will depend on a variety of factors – including your objective, your product or service, your audience and your budget. We work with all formats – and can help you decide which is best for your campaign. 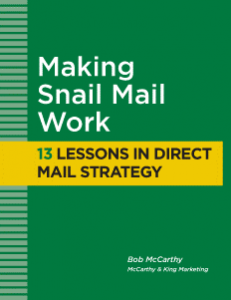 Creating a successful direct mail package takes more than good writing and design skills. It also requires a deep understanding of direct response and the sales process. Your creative team should play a role in the development of your offer and in the selection of your format. We provide complete copywriting and creative services for your direct mail campaign. Every campaign eventually has to be printed and mailed. Projects will vary in cost and complexity depending on the format you select. Sales letter packages typically involve the printing and inserting of several elements that all need to fit together in an outer envelope. Conversely, a postcard is a single piece of printing with no envelope. Personalization – how much personalization do you want to use in this mailing? Personalization can improve response but at an additional cost. Compatibility – will all the pieces fit together? When developing a letter package, you need to make sure all elements will fit properly into the outer envelope. Postage – will mail first class or standard mail? Standard mail is cheaper but comes with some disadvantages to first class mail. Presorting Discounts – if you comply with certain postal regulations, you may qualify for some significant postage discounts. To maximize response from your campaign, you need to consider how you want people to respond. Generally speaking, the more response options you provide, the better your response. Most marketing campaigns today provide online response with the use of dedicated landing pages or form pages on your website. You promote your offer and then send interested prospects to the page to fill out a form. This is a very efficient response channel, but it’s not the only channel. Many people still like to use reply mail, the phone or the fax to respond. In retail businesses, responses are delivered in person. We provide multiple response channels – including landing pages, reply mail, telephone, fax and walk-up response. Testing allows you to prove or disprove assumptions in your marketing – making you, in the long term,a smarter and more profitable marketer. But effective testing takes discipline and an understanding of what to test, when to test and what to do with your results. We create testing components within all of our direct mail campaigns.